Bring out the very BEST in your Viper! Go from a hot car to a Show Car! Watch for many new parts currently in development and testing coming throughout the year for all five generations of Vipers! 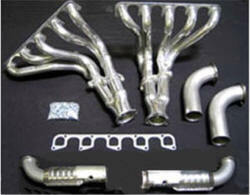 NEW Viper 2013-Current Complete Exhaust systems now available. Viper PCM's new, refurbished now available. Repair service for Viper PCM's now available! ALL years. Under Parts & Upgrades column then select PCM / ECM. 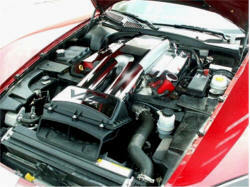 SRT Viper Gen 5 (2013-current) accessories, models, poster and more coming out weekly. 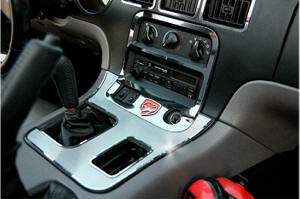 New Viper Gen 1 (1992-1996) Interior Parts now available! 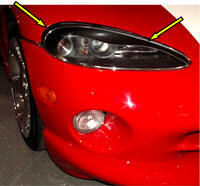 Viper 92-2002 and Viper 2003-2010 HALO Head Light and Fog Light Accents now available. In menu under Parts & Upgrades, then select "Head Lights". New Products are out for Viper Gen 4! Dodge Viper (2008-2010) Whole selection of brand new parts coming out for the Viper Generation 3 & 4 are out now - see pictures here! New coming soon - 2010 Viper SRT10 Official Dodge Color Sales Booklet! 2010 Dodge Viper SRT10 Full size, full color. Filled with photos, diagrams, color charts, information, statistics, options and more. This is a one time only printing. Get them while they last. Watch this space for them to appear: Click here. 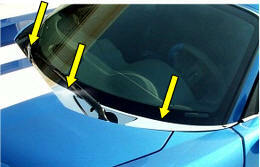 Dodge Viper (1992-2002) Hood Vent Grilles Upgrade (Set of 2). It's a Jaw Dropper in person! All Stainless Steel Upgrade replacement Hood Vents. This all stainless steel unit completely replaces your old stock "Speaker" grilles on your hood. New Product coming out in early September 2008! 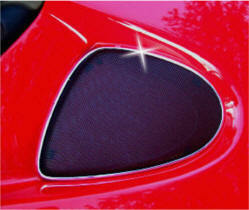 Viper SRT10 (03-06) Wiper Cowl. 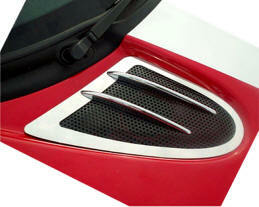 High polished stainless steel really sets off your hood and front of your Viper. New Products coming out in early August 2008! Viper Gen 1 & 2 Hood Air Vent Upgrade Replacements. This product has been in the design and development for over a year and we are particularly proud of it. We expect it to be quiet a hit when it comes available in the next few weeks. All stainless steel perforated black powder coated vent with High Polished SS Trim to replace your Hood Vents (As the current stock grilles look like Audio Speakers). 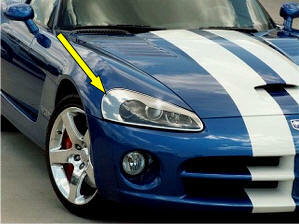 Viper Gen 1 & 2 Eye Brow Kits, White Stripe Kit for Viper GTS 996-02), and Viper GTS Rear Window Logo Decal. Our new Viper RT-10 92-02 Hart Top Carrier Cart is now available. Light weight, sturdy, and easy to handle it holds your expensive hard top securely in place when you enjoying a light Summer sun. See Viper 1/2 Products. Viper Eyebrow that fits over the headlight lens, Viper 3rd Brake Light stainless steel logo fits over the lens, Viper stainless steel Wiper Cowl set, and many more !